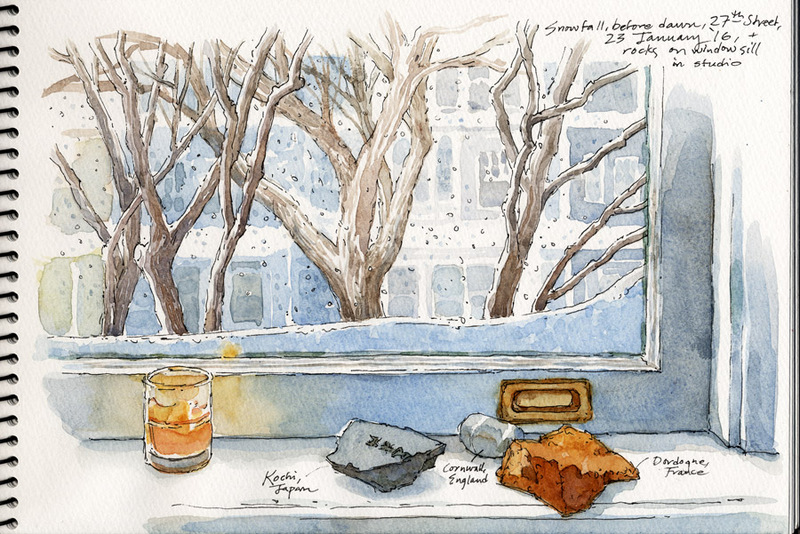 A sketch from the studio window, and a poem I post in thanks for this brief interlude of beauty and silence. The ground is no longer naked. The ground has on its clothes. and each branch wears the sock of God. if it’s bread or stone. rising, yeasty as a cloud. and I have the pail. 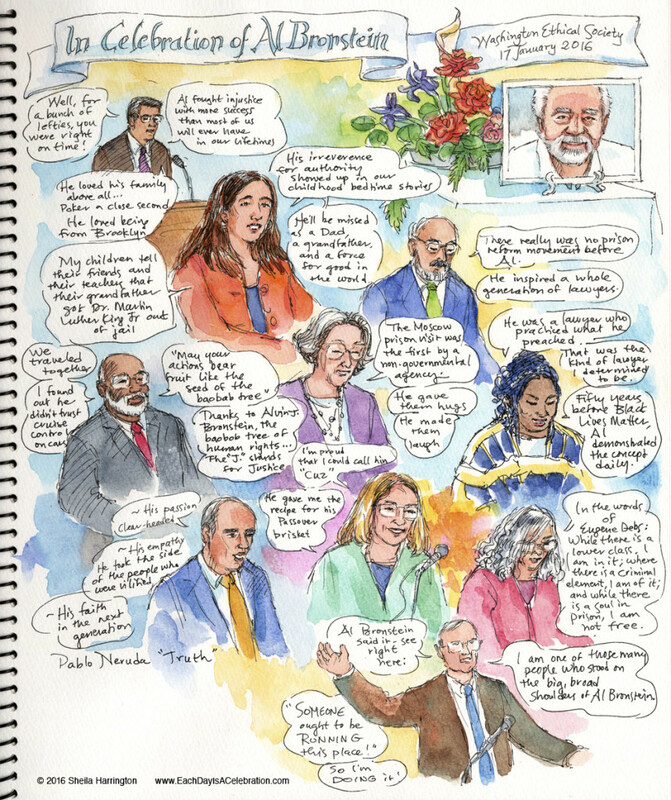 So fittingly on this Martin Luther King, Jr. Day, we listened to many touching, fascinating, and funny reminiscences during the moving celebration of Al Bronstein. This is a man who infused all his life’s undertakings—from social justice to education to family life to fabulous cooking—with his fierce determination, courage, brilliance, humor and kindness. Thank you, Al. You are currently browsing the Each Day Is A Celebration blog archives for January, 2016.